Join hosts Erik Truong and Alexis Whitted in “The Spin Room” as they explore politics, pop culture, and everything in-between. Stay tuned for interviews with interesting guests (like Dr. Ángel Cabrera, pictured below) and learn how to get involved on and off campus. Get “The Spin Room” on iTunes. Listen to “The Spin Room” on SoundCloud. Learn more about WGMU Radio. 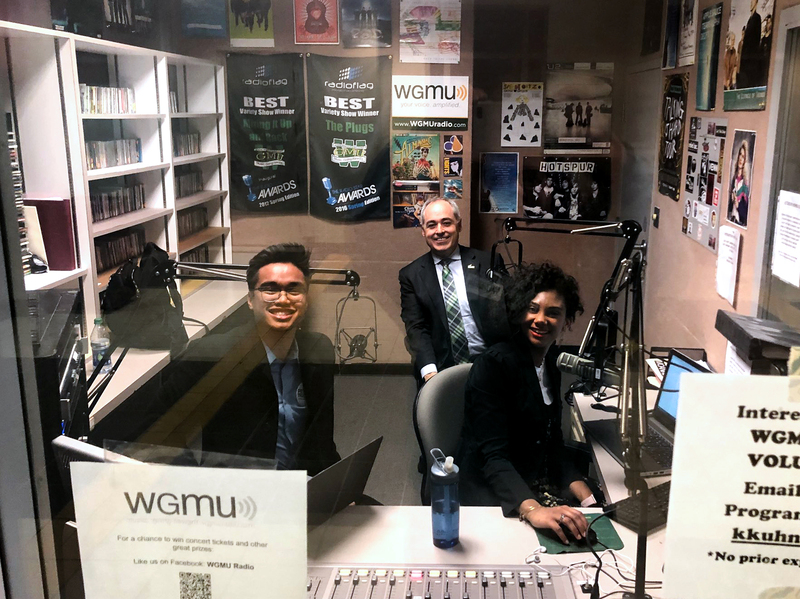 “The Spin Room” is a podcast created by Mason students and the views, thoughts, and opinions expressed by the hosts and guests are solely their own.